An ‘Intermediate’ level of personal care is provided to those who require more support than what is offered in the community, yet are not quite ready for placement in a Personal Care Home. Thorvaldson Care Center is the only Intermediate Care facility in Manitoba. What does Intermediate Care offer? 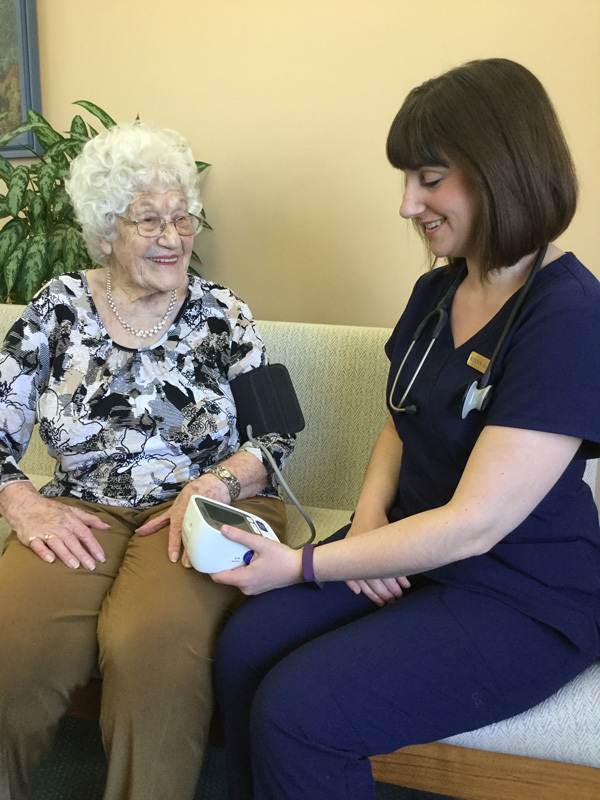 With the services of our on-site Registered Nurse and Health Care Aides, we are able to provide prompt, consistent and reliable care to our residents. Services can be put in place quickly when residents’ needs increase. Our RN provides a comprehensive level of care to our residents – and focuses on health maintenance and monitoring to prevent emergency dept visits. When one is researching different community facilities, it would be important to compare the nursing services they offer – as to what our RN is able to provide. With the high level of care our Center offers, it is very beneficial for those elderly who have little (or no) family support, or for those with family members who are overwhelmed with caregiver ‘burnout’. It is reassuring to have the peace of mind that their loved one is safe and cared for 24 hours/day.